Hear Bill Mollison - free audio downloads! As a part of that process we began accumulating information on useful plants. 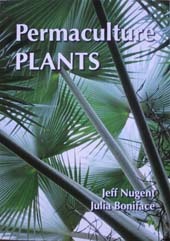 We have now published three books on useful plants and are working on others. We teach Permaculture courses here and away. The designers tool for selecting species for function, climate and local conditions. The comprehensive guide to edible and useful palms and ferns. Productive plants for: land rehabilitation; staple foods; emergency foods; most human needs; difficult sites. More than 950 species covered. Featuring Azolla (the super organism) the tiny fern that changed the world completely and could do it again. This book is really about conservation - conservation of soil; fossil fuel; human energy; species; and genotypes of species. Ultimately it is about conservation of the human species, which is obviously doomed unless we change our priorities away from a consumerist society and shift our direction towards well-designed sustainable systems. The plants listed in this book have great potential to turn the problems of desertification into solutions enabling food security and abundance. Simultaneously massive pressure can be taken off of species at risk. 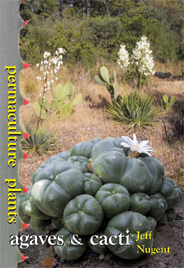 An indispensable reference for Permaculture designers. Plants to suit most environments. Productive plants for land rehabilitation. 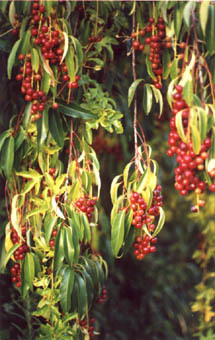 Plants which survive uncertain rainfall. Snow and drought resistant plants. Please e-mail us to receive information about our Consultancy Service.